Happy new year. With the winter holidays behind us, planning is under way for a new year of activities. In fact, a number of activities are already on the calendar. In this issue we also announce the new board of directors who were elected in December. We thank them for stepping up to lead our region. Jan. 24 - 24 hours of Daytona, sponsored by Rolex. Details here. Feb. 2 - Board meeting. 6:30 p.m., 60th and Good Hope, Milwaukee. Members always welcome to pull up a chair and join in the conversation. Feb. 4 - Join us for a Saturday morning tech session at Ron Pace's toy barn in Saukville. A race course driving simulator will test your skills. Grab a cup of coffee or a soft drink and idle some time with other gear heads. Details here. RSVP required. Feb. 18 - Turbo spaghetti is our annual get together in February for a social evening. Bring a batch of your family's secret pasta sauce and enter it in our friendly competition or just come and sample as many sauces as you like. Details including RSVP deadline here. June 23 - Ladies driving tour -- Fox Valley region's annual tour for women. New Glarus is the destination for 2012. 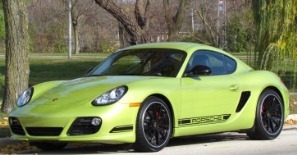 The Fox Valley group will establish a meeting point for women Porsche drivers from the Milwaukee area. Details here. July 8 - 14 - Porsche Parade, the annual gathering of PCA members. Salt Lake City is the venue for 2012. Put this on your calendar. You'll meet people from all walks of life who love Porsches. Every day offers a variety of activities, all centered on Porsche. Aug. 10 - Driver education at Road America. More details will be available shortly. Spend a day on the track in your Porsche with a driving instructor if you're a novice or want tips to improve your safe-driving skills. If you're experienced, enjoy more seat time on this outstanding track. Attention participants in drivers education. New helmet standards go into effect in 2012. Members who plan to take part driver education are reminded that the helmet standard in 2012 changes from year 2000 Snell certification to Snell 2005. Chief driving instructor Ron Pace recommends a Snell 2010 SA certification be obtained. He also recommends a neck restraint system such as the Hans device. 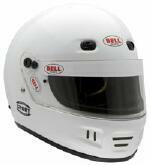 There are a number of retailers in the area that sell racing gear. Check out Pegasus in New Berlin, Wis., 800-688-6946, or Northstar Motorsports in Lake Barrington, Ill., 800-356-2080. If your Christmas stocking was filled with some green bills, treat yourself to a new helmet that conforms to the updated standard. Transferring to our region from the Central Wisconsin Region is Chris Kohn and his affiliate member, Courtney. They live in Milwaukee and drive a 2007 911. We reported on the 2011 Holiday party in the December newsletter. Here are a few more photos from the event. The classifieds section of our website are the best deal around. Free to members to buy, sell or trade Porsche-related items. Read the latest classifieds here. Note: Your ad runs for three months. After three months it automatically is pulled from the site. You need to alert the webmaster if you want to reinstate the ad. Car and Driver magazine named the Boxster/Cayman to its 10 Best cars in 2012 list. Read the article here. See photos of the construction progress at Blackhawk Farms Raceway. This is a popular track used by clubs for driver education, including our region. Details here. ATLANTA - January 2, 2012 - Porsche Cars North America, Inc. (PCNA), importer and distributor of Porsche sports cars, Cayenne SUVs and the Panamera four-door sports sedan line-up in the U.S., today announced December 2011 sales of 1,834 vehicles and year-to-date sales of 29,023 vehicles. The year-to-date sales compare to 25,320 vehicles sold last year - a 15 percent increase. Much of Porsche's 2011 sales success can be attributed to the continuing momentum of the Cayenne SUV. Sales of the Cayenne in the U.S. were 12,978 in 2011 compared to 8,343 in 2010 - a 56 percent increase. Another highlight for Porsche last year was the continued success of the 911. With the all-new 911 Carrera and Carrera S due to go on sale in the United States February 4, 2012, sales of current models continue to be strong. Annual sales in 2011 were 6,016 compared to 5,735 in 2010, an increase of 5 percent. Also in December, sales of Porsche's Approved Certified Pre-Owned (CPO) vehicles rose to 538 versus 533 during the same period in 2010. CPO total sales in 2011 were 8,323 compared to 7,298 in 2010.